This book offers a detailed review of the remarkable advances which have been made in the research on the pathogenesis of a number of neuroimmunological diseases, as well as outlining novel treatments including the use of monoclonal antibodies. 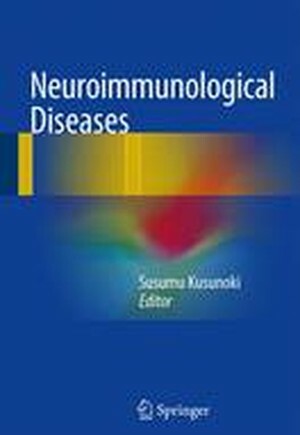 Written by renowned experts who have made major contributions in the field, such as identifying neuromyelitis optica as an immunopathological clinical condition, identifying the role of ganglioside and ganglioside-complex antibodies in Guillain-Barré syndrome, and development of a novel treatment for POEMS syndrome, the book summarizes recent advances in basic and clinical research. Neuroimmunological Diseases is a useful resource for not only researchers but also neurologists who are engaged in the management of neuroimmunological diseases. ​Part I. Basic Neuroimmunology1. Cell-mediated immunity2. Glia and neuroimmunology3. Animal model4. Blood-brain barrier and blood-nerve barrierPart II. Clinical Neuroimmunology5. Multiple sclerosis: Epidemiology, genetics and pathogenesis6. Multiple sclerosis: Diagnosis and treatment7. Neuropsychological aspects of multiple sclerosis8. Neuromyelitis optica: Epidemiology and pathogenesis9. Neuromyelitis optica: Diagnosis and treatment10. Guillain-Barré syndrome: Epidemiology, diagnosis and treatment11. Autoantibodies in Guillain-Barré syndrome12. Fisher syndrome13. Chronic inflammatory demyelinating polyneuropathy (CIDP)14. Multifocal motor neuropathy15. POEMS syndrome16. HAM17. Myasthenia gravis18. Polymyositis19. Autoimmune encephalitis20. Hashimoto encephalopathy21. VGKC antibodies22. Paraneoplastic antibodies23. Antibodies to ganglionic acetylcholine receptor24. Novel Treatments.